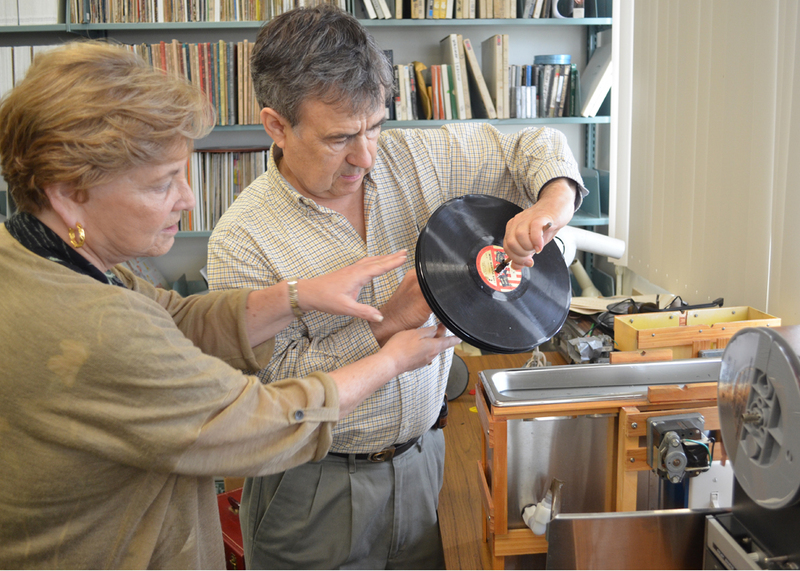 These forgotten treasures are currently the domain FAU’s Recorded Sound Archives (RSA), which began in 2009 as an extension of its popular Judaica Sound Archives; nowadays, the institution restores and digitizes lost and important music of all kinds. 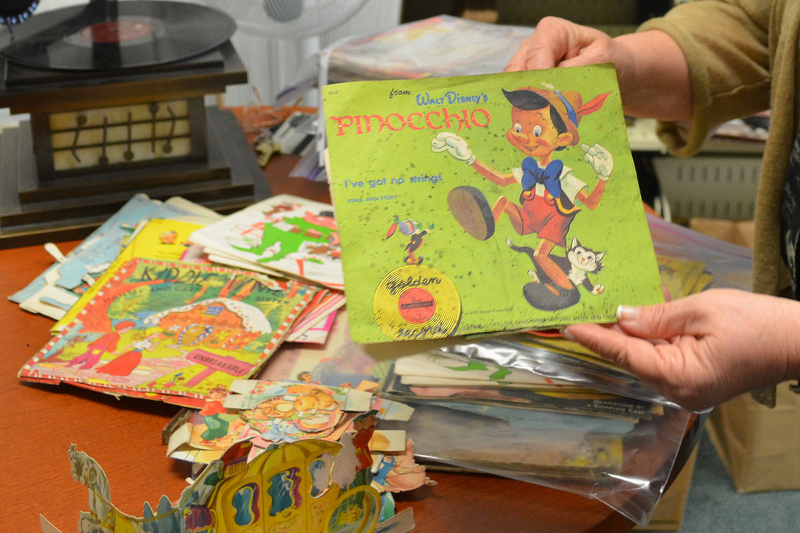 These recently obtained children’s record sleeves, their once-vibrant cover art damaged by flood and mold from Hurricane Sandy, are mostly second copies from the vast collection of Peter Muldavin, the world’s foremost expert on vintage children’s records. When his Long Island storage facility suffered storm damage, he donated its contents – 786 records – to the RSA, whose passionate archivist, Ben Roth, is a friend. Some of the 78 rpm records date back to the 1920s, bearing price tags of a quarter a piece. The restoration business, on Roth and company’s end, is a long and painstaking one. They are still in the process of entering all the data, with plans to release some of their results through their website starting in January. Roth showed me a bit of the RSA’s fascinating restorative process, some of whose accoutrements look like something out the old Mousetrap game. First, the records are dipped, like strawberries in chocolate, in a motorized tank devised for cleaning jewelry, in which ultrasonic waves eliminate the ingrained dirt. Then they are positioned in front of an industrial hair dryer haphazardly duct-taped into position on a metal stand – an appropriately primitive way of cleaning these analog goodies. As for the damaged, crackly sound of the records, that can be polished by more modern means – Sony’s Sound Forge computer software. The sleeves have been photographed and inventoried for digital restorations, but unfortunately the originals in the zipper bags will be discarded – their damage is too severe. If you make an appointment, you may be able to listen to some of these recordings in the RSA’s headquarters, while admiring the collection’s vintage turntables, including an entirely hand-cranked 1911 Victrola and a 1924 credenza model that Roth says “cost more than a car” at the time of its manufacture.